Make your guests happier than a unicorn eating cake on a rainbow with the Unicorn Bounce House & Slide Combo Rental! Colored just like our favorite pony, Twilight Sparkle, this purple, blue and pink inflatable is sure to be a hit for all your pony friends. 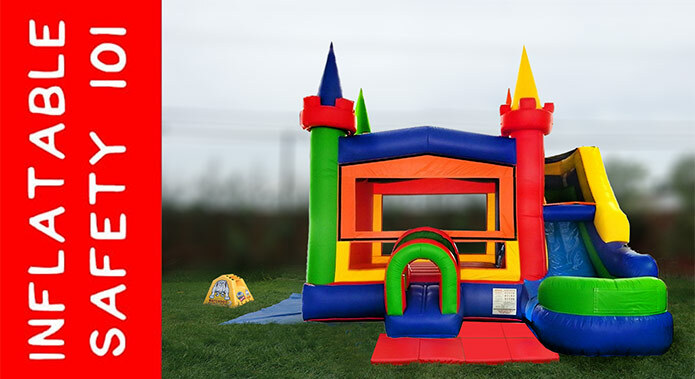 Your bouncers will start their journey by climbing into the bounce house through the safety tunnel and will emerge into the large 15’ by 15’ bounce house play area. After they have had their bouncing fill, they can climb up onto the internal safety-padded foam steps to the 7' inflatable slide platform to slide down and start the fun all over again. So transport your guests to Ponyland when you bring the Unicorn Bounce House & Slide Combo Rental to your next event!